Merchant navy offers a lucrative career for young talents who have an eye of success and heart at sea. The jobs here will give you status, lifestyle and most important financial backing. People who are not a fan of 9-5 office and looking for adventure are always up for merchant navy. But the big question here is how? What would help you transform yourself from an average adult to a dutiful mariner? There can be 100 ways of answering this, but let’s put this straight, you need Merchant navy college after 10th or 12th to bank your dream. You need to be of right age, which is between 17 ½ to 25 years old to apply in these colleges and have good physical and mental instincts. 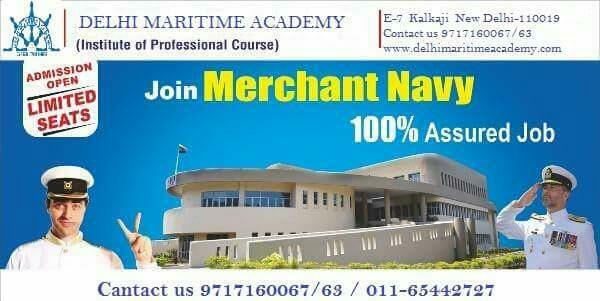 If you are 10th pass and want a straight job on a merchant ship, you can go for General Purpose courses. The course takes 6 months duration and selected candidates will take care of loading and unloading cargo, and deck cleaning duties. Interested candidates need to appear in an IMU-CET entrance. Cleared students will go to study in their assigned institutions affiliated to IMU. There are tons of more decent institutions which will help you to kick-start your career as a proud mariner.